The slender freshman center, who is listed at 7-foot-1 but says he’s 7-foot-2, was as much of a secret as a player of his stature could be when the Bruins ran over Purdue Fort Wayne on Tuesday night, 96-71. 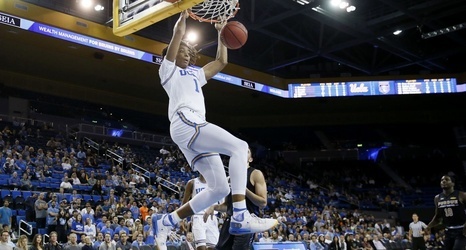 The game was watched by a live audience of only 5,931 fans, the smallest crowd for a home opener at Pauley Pavilion in three decades. There figures to be a similar-sized crowd at the arena Friday for a game against Long Beach State. Unusually agile for a player his size, the former McDonald’s All-American had five dunks against Purdue Fort Wayne.